Porsche continues to target Tesla. After taking a swipe at the Model S, X and 3 maker last week, the German automaker just surprised us in Geneva with the Mission E Cross Turismo SUV (even though Porsche calls it a CUV, a cross utility vehicle). Watch out Model X. While we don't know much about the crossover, Porsche did say it is investigating putting the car into production. Considering that the SUV and crossover market continues to grow, don't be surprised to see this vehicle in showrooms right after the Mission E hits the road. 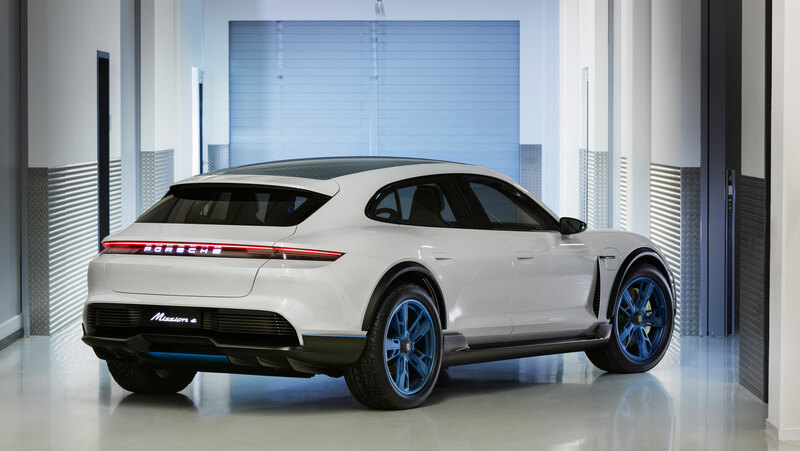 Like the Mission E -- and really all Porsches -- the Cross Turismo will be quick. With two electric motors, the all-wheel-drive, 600 horsepower vehicle will go from zero to 100 kilometers per hour in less than 3.5 seconds. For comparison, the P100D Model X reaches about the same mark (zero to 60 miles per hour) in 2.9 seconds. With the I-Pace, Model X and now the Mission E Cross Turismo, the electric-SUV-that-goes-really-fast market is getting crowded. That's great for people that like to go fast but also need enough room to transport all their kids' sports equipment.